iTE organises events throughout the year with the goal of providing professional development and networking opportunities for our members. 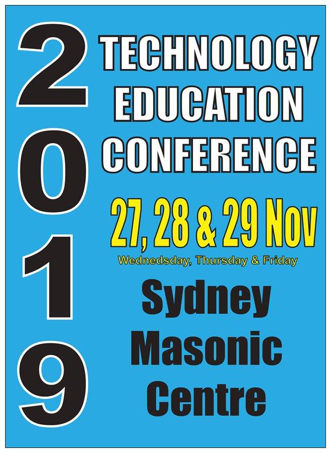 This 3 day event in collaboration with Don't Panic sTEm and the other technology teacher associations brings either a 1 day conference OR 2 days of hands on workshop OR BOTH to regional NSW. The content presented at this conference relates directly to the teaching of STEM, Technology, Engineering and Industrial Arts curriculum. Over the three days of conference Teachers are provided with the opportunity for: networking, resource sharing, skill development and advancement, and to be kept abreast of current and future directions in STEM education, focusing on Engineering, Technology and Industrial Arts. There are FIVE events across three days that can be ticketed separately or bundled at a saving. Guests are welcome to attend the evening events (extra tickets can be added to orders). ‘Hands On’ Technology - An all day immersive that allows attendees to learn, practice and embed. Locations are based on the workshop as some require specialist materials and are run by our partner organisations. 9:00 – 4:30pm (8:15am for first day registration) *Some of the workshops require specialist equipment and/or with our partner agencies and MAY run offsite. 3. Use the invoice to obtain payment, making sure the payment is received by the ticket cut off - as explained in our terms and conditions late payments will be subject to the have late ticketing fees applied/tickets cancelled. 4. Once payment has been received you will be emailed workshop selection information, workshop selection is given in preference to registrants who have paid. - Payments are to be completed before the cut off dates otherwise they will be invoiced at the higher rate. (LMBR schools will need to show evidence that they have submitted the request for payment). - Any cancellations must be made before October 31st to receive a full refund. Cancellations made after October 31st will not be fully refunded.